Verge Center for the Arts opens its gallery every 3rd Thursday from 5:30-7 for the Artists’ Salon: A group open to the public where we discuss one or various themes, artists, or topics in contemporary art. We will not be showing any of her films but rather discussing her work after looking over reference materials. 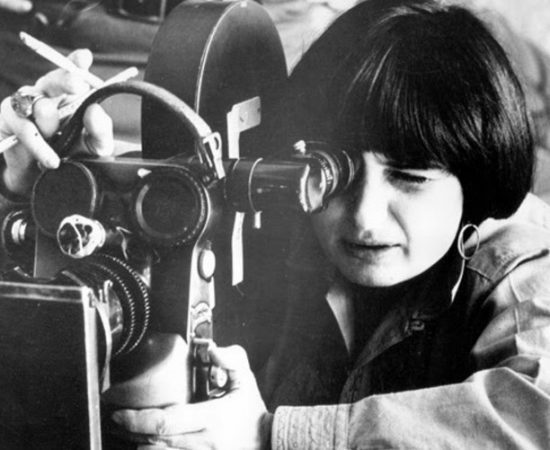 Join us this April 18th to converse about Agnes Varda’s films and influence in the French New Wave, expanded cinema, and more. Agnès Varda (b. May 30 1928) was a French film director and professor at the European Graduate School. Her films, photographs, and art installations focused on documentary realism, feminist issues, and social commentary — with a distinct experimental style. She passed away recently in March 29th, 2019.